There was a time I handquilted every top I made but those days are over. 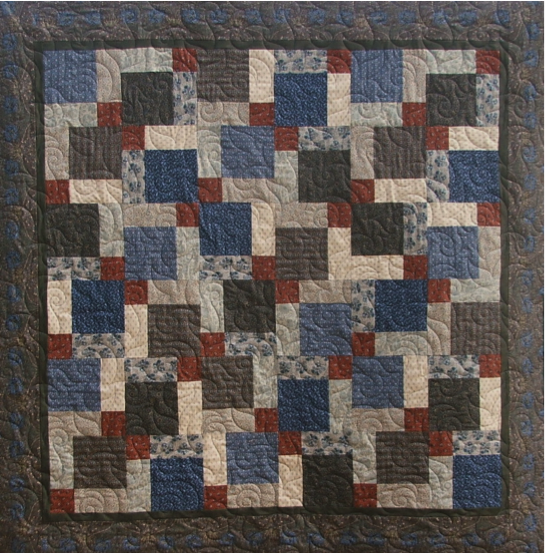 In the late nineties I began machine quilting most of my quilts but always had a handquilting project on the go. When my friend, Elaine started her quilting business"Quilting in the Vines" I started handing my tops to her for a quick and professional finish. It's always exciting to get the tops back from her and see how she has transformed them with amazing quilt designs I could never have done myself. I don't want to lose my machine quilting or handquilting skills so I try and use them every now and then. The perfect opportunity for handquilting has presented itself. Only the most traditional tops that I feel deserve the time and effort are chosen for this treatment now. On my last 'very special' Birthday I received 14 beautifully hand appliqued blocks from one of my lovely Sewing Groups. I made an extra block and another friend, Sheridan made the 16th block. I now have the perfect number to put together into four rows of four blocks. 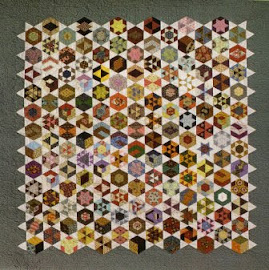 I think you'll agree they are the perfect handquilting project to create an antique styled quilt. Last night I added a 2" border of a lovely reproduction tone-on-tone fabric between all the blocks and 3" around the edges so the circles would float. Now I need to find some wadding that is recommended for handquilting. A little wallhanging I made 16 years ago! You need nine different fabrics for the nine-patches in 6 ½” strips. Two strips of each fabric, one the WOF and one half the WOF. There should be one fabric that stands alone, like a zinger or a darker fabric. 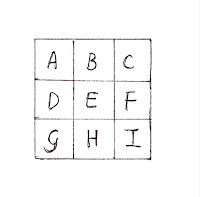 You should use this as the centre square. Then there should be four light and four dark co-ordinating fabrics. The darker fabrics are your corner squares and the light fabrics are the central side squares. Take the nine fabrics that are already cut in 6 ½” strips and decide how they should be laid out in the nine-patch. NOTE: All the nine-patches should be made exactly the same. Sew the fabric A, 6 ½” strip (the WOF) to the fabric B, 6½” strip (the WOF) legthways. Then sew the fabric C, 6 ½” strip (the WOF) to the other long side of the fabric B, 6 ½” strip (the WOF). Repeat with fabric D, E and F, 6 ½” strips and the fabric G, H and I, 6 ½” strips. Press the seams away from the lightest fabrics. Trim the selvedges from the edge from which you will be cutting. Recut the three long strips into 6 ½” strips - now called units. Each unit is 18 ½” long X 6 ½” wide. You should have cut 6 units from each colour combination. Lay out your nine-patch using one of each unit from each colour combination. Sew the three units together to create the nine-patch. Cut each nine-patch in halves twice to create four corner units Cut once vertically through the block and once horizontally though the block. HINT: The pieced centre square in the nine-patch is 6” wide so half way between these seams is 3". Cut 3” away from the sewn edges. Each corner block is 9 ¼” square. NOTE: With every second block, rotate the opposite two corner blocks. Take the 6 ½” strips that are half the WOF and repeat the above sewing instructions to produce three more Split Nine-patch blocks. Lay the blocks out with three rows of three blocks each so that the alternating blocks are those with different corner squares rotated. Cut six 1 ½”strips the WOF from the thin border fabric. Remove the selvedges and sew the strips together at the short ends, creating one long strip. Measure through the centre of the quilt top and cut two strips this length. (Should be 53”). Pin and sew these onto two opposite side edges. Measure through the centre of the quilt top including the two new sides and cut two strips this length. (Should be 55”) Sew onto the two final sides. From the final border fabric cut six 5 ½” strips the WOF. Remove the selvedges and sew the strips together at the short ends, creating one long strip. Measure through the centre of the quilt top and cut two strips this length. (Should be 55”). Pin and sew these onto two opposite side edges. Measure through the centre of the quilt top including the two new sides and cut two strips this length. (Should be 65”) Sew onto the two final sides. 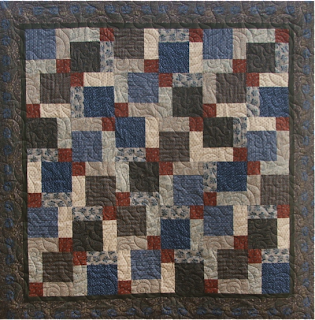 An effective Split Nine-patch quilt could be made with light and dark scraps keeping the centre square as the same fabric throughout or alternatively you could make all nine fabrics scrappy. Don’t be limited by the size we used - 6” squares. 4”, 5” or 7” blocks would still work and look great. 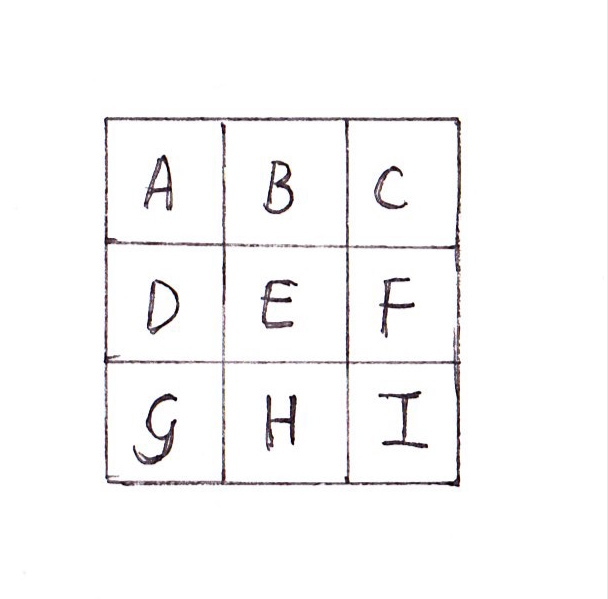 Rotating the squares is another area you could differ. Make a lot of corner blocks and randomly sew them together following no pattern layout at all. Have fun creating your own version of a Split nine-patch! Border fabrics are included in the kits with a Free printout of the pattern. Last Christmas I made my beautiful granddaughter , Ashlyn a bright quilt using the techniques I describe in my Japanese Garden Quilt pattern. The difference was that this was made up of multiple fabrics randomly laid out . I used at least 25 fat quarters of brights. I finished the quilt by sewing a bright pink border around the edge. Ashy knew what it was straight away and cuddled it to herself stroking the fabric. Just the reaction you want when you give someone a quilt! Sorry I don’t have a great photo of the whole quilt. Elaine from "Quilting in the Vines" quilted it for me the day I gave it to her and I literally finished the binding the night before I gave it to Ashy. In May when I visit my son I will get a photo of the whole quilt. This is the original Japanese Garden pattern. If anyone who bought this wants an update on how to make the scrap version just contact me and I will email it to you. Leaving all my family and friends in sunny Adelaide has been hard but rain drenched Queensland was calling and hubby and I decided to let God lead us in a new adventure! I have made so many wonderful friends and acquaintances and can't believe how many wonderful gifts and cards I received as farewell presents. While Andrew received numerous baskets of chocolate, relishes and wine I received some amazing and thoughtful treasures. As this is a blog of my creative textile ventures I will show some of the beautiful handmade gifts I received. Some of my friends in the Vale are not only great Patchworkers but also dabble in machine embroidery and I was the lucky recipient of their time and talents.